I am just loving Flatbread lately! I can't get enough of the stuff. Seriously. Not too long ago I made tacos using Flatbread and both my hubby and I loved them. I decided to make them again but this time using chicken. I wanted my tacos to have a spicy kick so I figured why not use Buffalo Chicken. Wow, were they good! Cut flatbread into eight squares. Arrange on a cookie sheet, and according to package directions, heat in the oven. 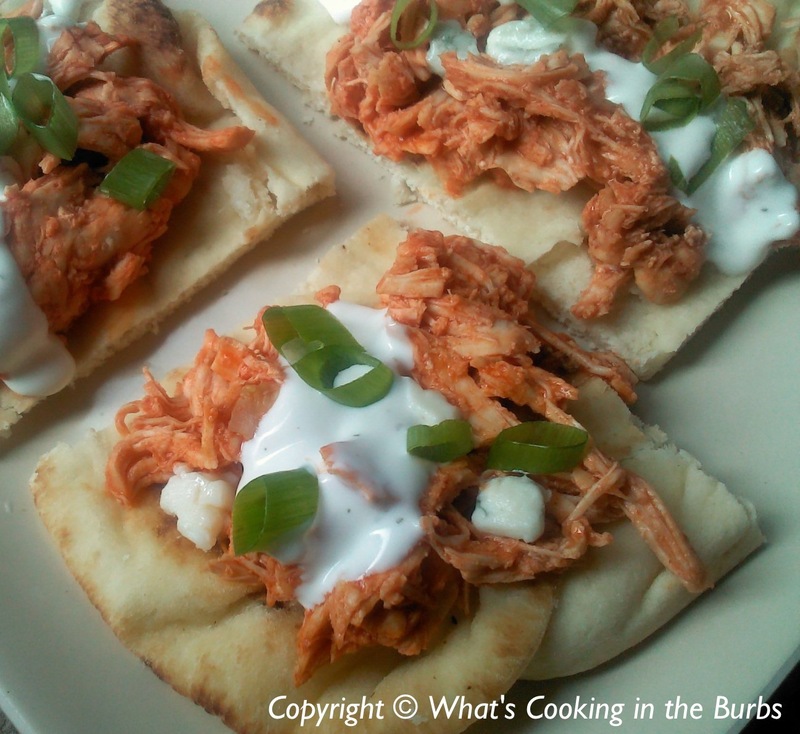 While the flatbread is heating, mix cooked chicken and buffalo sauce together. Prepare flatbreads by evenly spooning some of the chicken mixture on each flatbread. Top with blue cheese crumbles and drizzle with ranch dressing. Sprinkle with green onions. Enjoy! This sounds so good and easy, Bridget! This looks wonderful! I love Buffalo Chicken and I love flatbread. Can't wait to try this. Thanks! Those look super tasty, plus I bet I could make them GF pretty easy... Yum! Looks yummy! What's a serving size? Thanks! It's 4 points per taco and I served mine two tacos each and then a side of brown rice. So is two tacos half of the flatbread? How many tacos would be considered 4 ww points? This was so good and so easy. Loved it!